With thegeneral elections barely a couple of months away, the Narendra Modi government at the Centre on Friday painted a rosy picture of the economy, proclaiming that it wants to see and make India a five trillion dollar economy in the next five years and ten trillion dollar economy in the next 8 year thereafter. There is possibly nothing new or surprising in an election year interim budget being full of giveaways and sops. 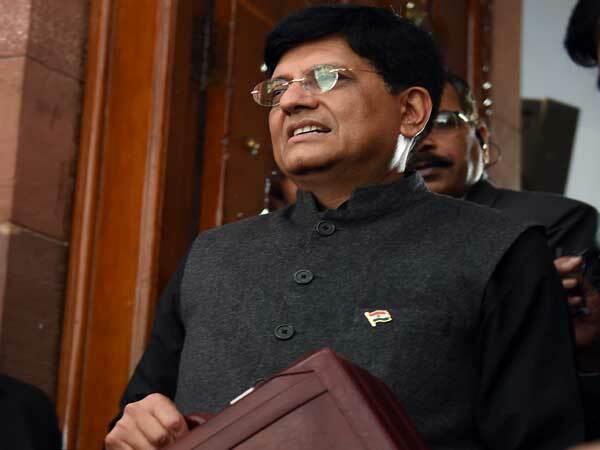 But what was supposed to be an interim budget speech by the acting union finance minister Piyush Goyal, eventually turned out to be almost like an election manifesto with the minister going on reading out the ten dimensional vision of the incumbent dispensation for the next decade. While opposition leaders like Trinamul Congress supremo and West Bengal chief minister Mamata Banerjee and some others have questioned the legitimacy and moral rights of the government to talk of and throw up such high dreams for the next ten years when polls are just three months away, Goyal was firm in playing poll bugle while reading out the budget speech, which was possibly the longest interim budget speech ever. While the ‘First Dimension’ of the ‘Vision’ talked of building physical as well as social infrastructure for a ten Trillion Dollar economy and providing ease of living, mentioning of next generation infrastructure of roads, railways, seaports, airports, urban transport, gas and electric transmission and inland waterways, the ‘Second Dimension’ suggested creating a Digital India reaching every sector of the economy, every corner of the country and impacting the life of all Indians. On the social infrastructure side, the First Dimension of the vision statement also mentioned that every family will have a roof on its head and will live in a healthy, clean and wholesome environment and talked of building a quality science oriented educational system with Institutes of Excellence providing leadership at the top. The Second Dimension of the vision statement said that the digital Infrastructure and digital economy of 2030 will be built upon the successes achieved in recent years in digitisation of government processes and private transactions. The youth will lead the government in this endeavour with innumerable start-ups creating digital India, and millions of jobs in this eco-system. There is no doubt that many of these or all of these will find places in the election manifesto of the ruling party when the nation goes to polls. Realising that the ensuing 2019 polls may not be as cake walk as it was in 2014, the Modi government left no stone unturned to woo back its key constituencies through the interim budget, more particularly, the budget speech. “Expanding rural industrialisation using modern digital technologies to generate massive employment is the Fourth Dimension of our Vision. This will be built upon the Make in India approach to develop grass-roots level clusters, structures and mechanisms encompassing the MSMEs, village industries and start-ups spread in every nook and corner of the country. India is now on the way to becoming a global manufacturing hub in various sectors including automobiles and electronics, defence and medical devices,” said Goyal. The ‘Vision for the Next decade’ towards the end of Goyal’s budget speech, attempted to touch upon all key growth areas. He said that making India a pollution free nation with green Mother Earth and blue skies is the Third Dimension of their Vision. This India will drive on Electric Vehicles with Renewable becoming a major source of energy supply. India will lead the world in the transport revolution through electric vehicles and energy storage devices, bringing down import-dependence and ensuring energy security for our people. Then the Fifth Dimension of the government’s Vision for India of 2030 is Clean Rivers, with safe drinking water to all Indians, sustaining and nourishing life and efficient use of water in irrigation using micro-irrigation techniques. India's long coastline has the potential of becoming the strength of the economy, particularly through exploitation of the Blue Economy, to ensure better standards and quality of life for a large number of people living in the coastal areas. Therefore the Modi government promised to scale up the Sagarmala programme and to develop other inland waterways faster. Reflecting another Dimension of its vision, Goyal said that India’s space programme – Gaganyaan will ensure that India becomes the launch-pad of satellites for the World and the country would place an Indian astronaut into space by 2022. The acting finance minister said that vision aims at transforming India into a ‘Minimum Government Maximum Governance’ nation, so that India of 2030 has a proactive and responsible bureaucracy which will be viewed as friendly to people.